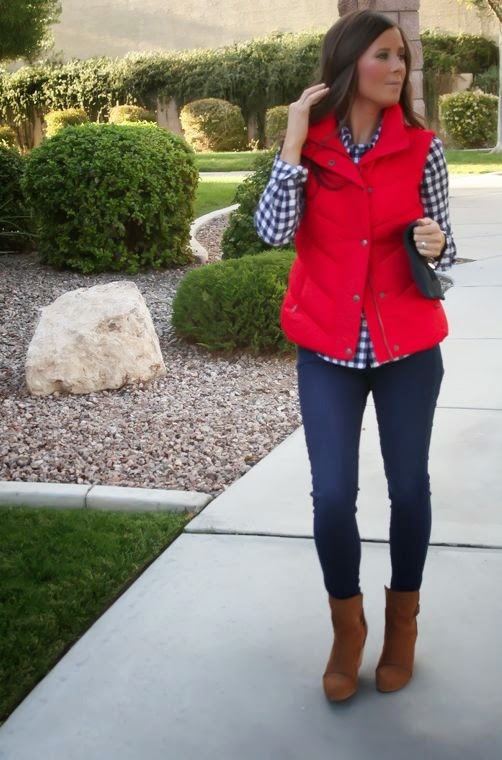 I have been in a fall clothes buying frenzy lately and I've found some great stuff I just have to share. I know my choice in fashion isn't why you visit me here so this will be a rare post. Don't worry, I have made a few changes on the home front to show you soon. I know I'm not the only one gearing up for fall weather right now. Since Christmas is right around the corner I try to get my family outfitted for our cooler months by November. It's too stressful trying to buy everyone new clothes AND Christmas presents at the same time. Oh, don't forget about decorating for Christmas! Most of us don't have unlimited budgets and that kind of time on our hands so I'll take whatever help I can get. 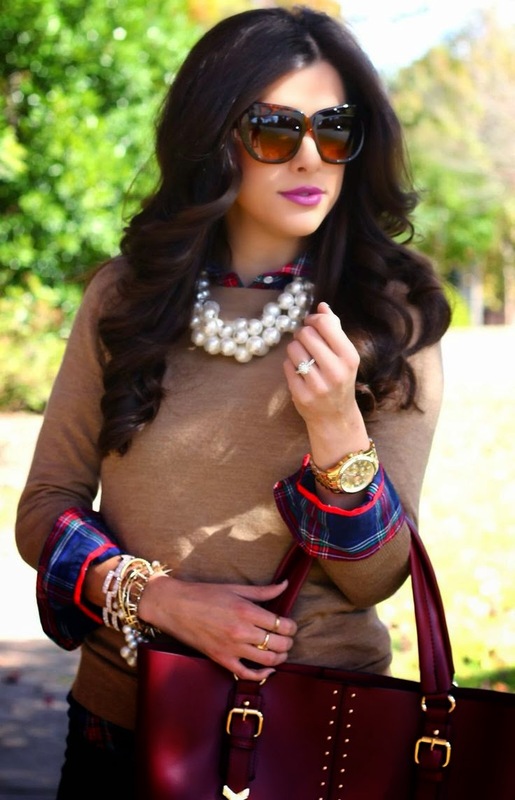 So, when I stumbled upon two amazing fashion blogs I took notice. I love finding new blogs to ooh and ahh over. They have always been interior design related until now. These bloggers do have a similar style to mine and I noticed I already own (or have wanted to own) some of the items they blog about. Even if you have a different style there are so many fashion bloggers out there to get inspiration, just like interior design. The first one is The Northeast Girl. Here are a few of her looks. Cute, right? 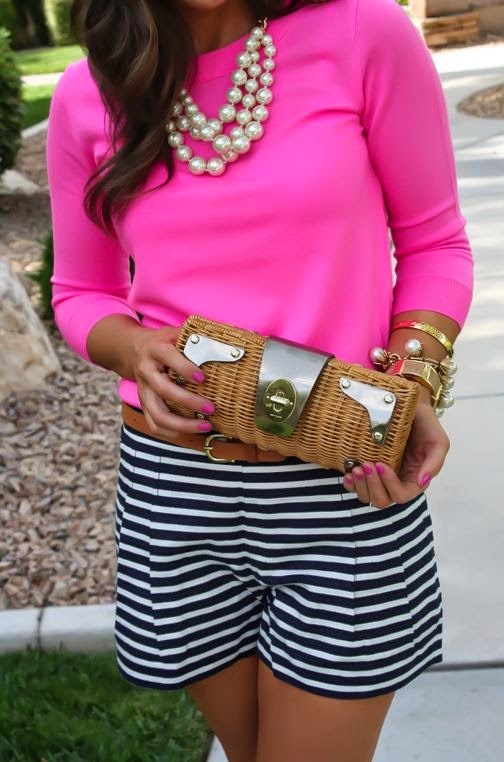 I love the preppy, yet modern looks. 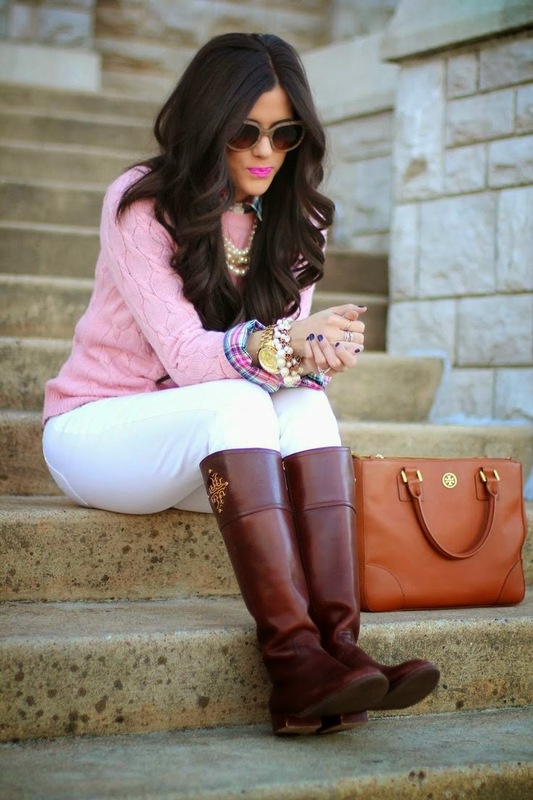 I've noticed a New England preppy look is very similar to a Southern girl preppy look. I wonder who loves monograms more? 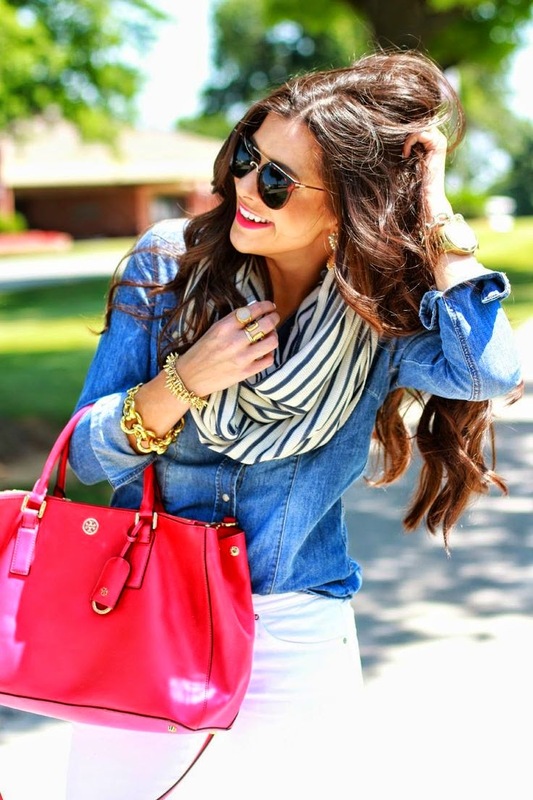 She has a good mix of outfits that are casual for everyday and also for the workplace. You also need to check out The Sweetest Thing Blog. Not only does this girl have amazing style, but her hair is straight out of a shampoo commercial. Yes, this girl out-haired me. She does give out hair tips and even posts video tutorials. Now, on to my good finds! I have so many new things I've bought that I made a new Pinterest board here so I don't inundate you with good stuff. If it's not on sale, check for a coupon because I almost never buy anything at full price. 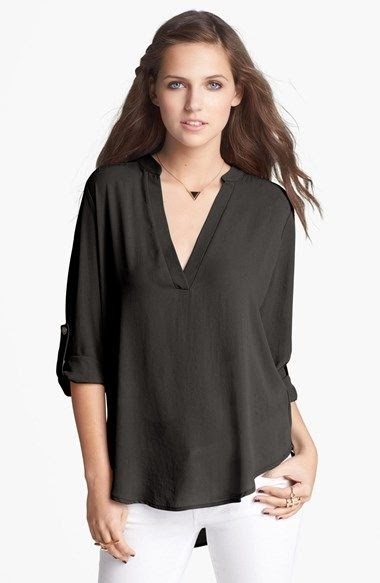 The blouse comes in so many different colors and I'm starting to think that all of the fashion bloggers out there own one. 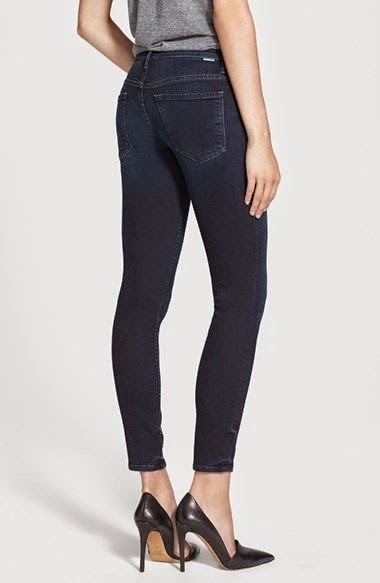 These Mother jeans are amazing! I found them on sale at Anthropologie and got an extra 25% off this weekend. 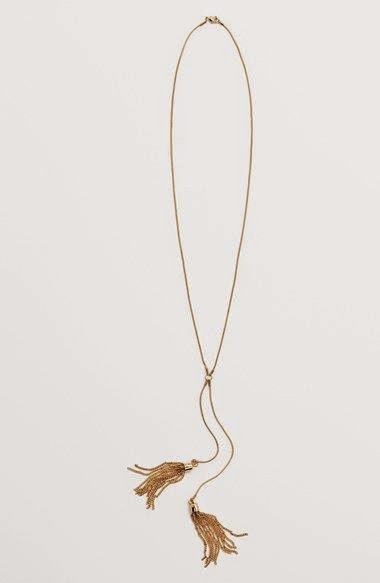 I'm on my third gold tassel necklace now since I have a habit of getting them hung on everything. This one was so cheap since it was from the Juniors dept. And, the black leggings with faux leather inserts were just too cute to pass up. All of these links are in my Pinterest board as well as many other recent finds. Also, check out my fashion and beauty inspiration board here. 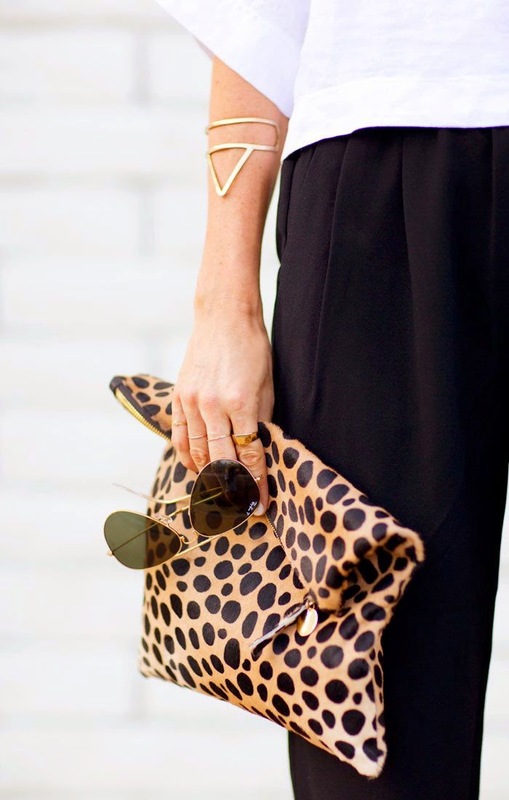 You'll see things like this Clare V clutch that is hard to find since it's become so popular. This is the only place I've seen it still for sale. Shhh...because I haven't bought one yet.